Bit of an exaggeration? ⬆️ Maybe so. But when you have clumps of dust barreling toward you from the ceiling or whatever surface you may be dusting, that’s what it can seem like! This past week, I really learned the importance of why keeping your home dusted is so important. My family and I had a client that needed a move out clean up done. The house was empty. Sure, but there was still a lot of work that needed to be done. 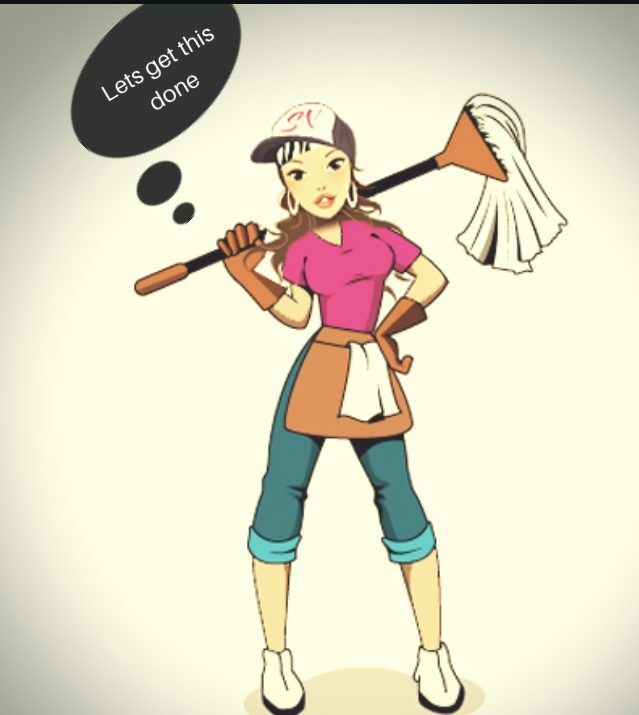 Wall washing, baseboard cleaning, deep cleaning the bathrooms and rooms, cleaning and dusting light fixtures, window seals, the list keeps going. It looked like no type of dusting had been done in months. Anyways to cut a long story short, I was dusting some light fixtures in one of the bathrooms and the dust was so bad, I ended up with a respiratory infection the very next day and I’m still currently recovering from it (it was also my stupid mistake of not wearing my protective gear like a mask and eye protectors, but it was a late night and that was the last thing on my mind honestly. But still not an excuse I know). So that’s one lesson learned. So what’s the other lesson? As hard as it may be to find the time, we have to keep our houses dusted! Its so important not just so that it looks clean, but for good health! I know this is gross but more people should know the facts about dust so there’s a motivation factor to keep it away. Ever hear of dust mites? Yeah they real. And VERY much alive. That is, If you choose to let them be. Just one piece of dust can contain pet dander and hair, sheddings from dead bugs, mold, dead skin from humans, bug waste, the list gets scarier and even grosser guys. And that’s just one piece! 😳 Let alone whole clumps of dust (which I remember quite well is what was falling from the light fixture I was dusting 😷). So now that we know what all is in dust and that it can definitely cause you to get sick, what can we do to keep the dust away? Keep your bedroom/dorm dust free by cleaning fans (ceiling and portable) once every two weeks. Besides using a duster, I also like to take a damp cloth and wipe off the blades of my fan. Be sure to wipe down dressers, desks, and shelved surfaces as well. Strip your bed and wash sheets, blankets and pillow cases once a week. Be sure to use warm and hot water so it kills the dust mites. If you have an allergen setting on your washing machine that also works fine. vacuum the floors If you have carpet in your room. After getting sick, I about had my entire room quarantined haha! Vacuum carpets once or twice a week depending on how much traffic comes in and out of the house (I also have an older blog post about how to keep your carpet looking fresh linked here https://wp.me/pa5e2n-3). Mop bare floors at least once a week using a clean washed mop head. Or if you’re using a swiffer mop, be sure to change out the padding or you’ll just track more dirt on the floor. It will help to vacuum your couch cushions and use a damp cloth for leather furniture and keep them dusted down. Dust window seals and blinds with a duster. Any inside rugs you have should be washed every two weeks or so. Most important tip of all is wear a mask while dusting! Keep yourself healthy. I know this sounds like a lot to be done every week but there are easy and quick ways to do all of this and keep your house in check! I’ll be working on a daily and weekly schedule that will work for those of us busy with school, work, or just being a busy stay at home mom with kids. Until then, if you have any other tips/suggestions you use for dusting or have any questions please let us know in the comments below!